Hello. I am Speck. Come fly with me! 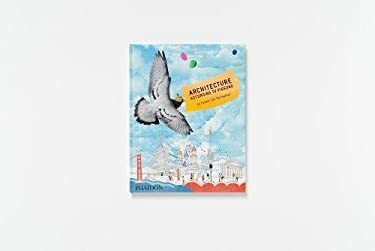 Architecture According to Pigeons is the perfect introduction for children to the most beautiful buildings in the world and the basic principles of architecture, using a fun, lively and engaging way of learning. In this delightful book, a pigeon named Speck Lee Tailfeather reveals that pigeons are great aficionados of architecture and delivers an account of a journey around the globe with fun facts about each of the iconic buildings he visits. The book features the Colosseum, the Taj Mahal, the Golden Gate Bridge, the Sydney Opera House, the Eiffel Tower, Frank Lloyd Wright's Fallingwater and dozens of other buildings from a 'bird's eye view' to delight children and parents alike.